Hatch’s Me360 is a highly engaging, easy to participate, personalised shareableexperience. Completely customisable with your brand or message, using green-screen or backgrounds of your choice, delivering 180 or 360 degree video GIFs or Mp4’s. Available to hire for your next Brand activation. Bring the Gold Coast Film Festival to life for Robina Town Centre’s community by creating a shareable, PR worthy, experience that gives people the opportunity to star in their own mini-movie. We came up with the Hatch Me360 Bullet-Array Timesplice Camera rig time camera array. 30 cameras fire simultaneously, capturing unforgettable and shareable moments in time. We all love to share pictures and movies of ourselves, so imagine the fun of being able to pose ‘matrix’ style in your own mini-movie and instantly sharing it with your family friends. Me360 Bullet-Array Timesplice Camera rig, gave Robina’s customers the ability to strike action poses, frozen in time, in 360 degrees. 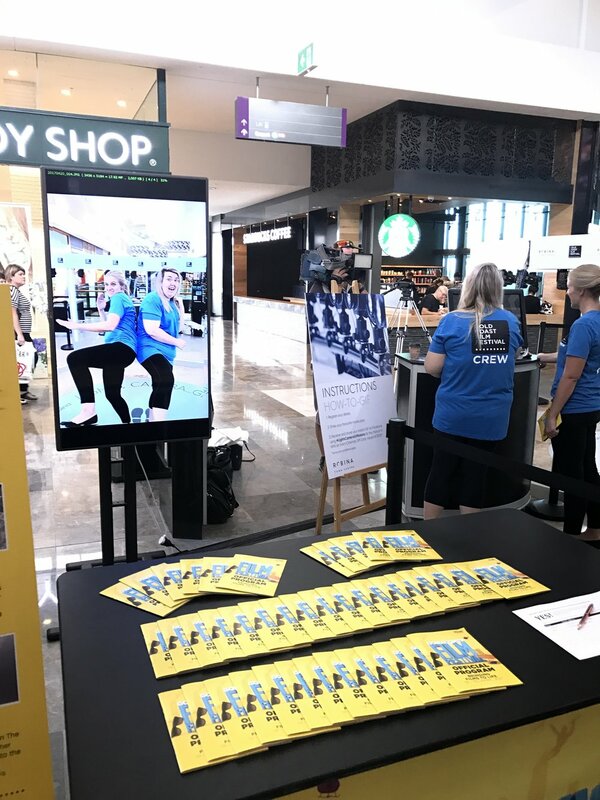 As sponsors of the Gold Coast Film Festival, Me360 enabled Robina Town Centre to showcase their support with a highly interactive, engaging and shareable experience, that delivered broad value.